Pokémon Rumble U isn’t the Pokémon game you want on the Wii U, but it uses NFC! Most tabletop games are played and won by calculating various stats or tracking other numbers and abilities. Whoever has the better numbers wins. 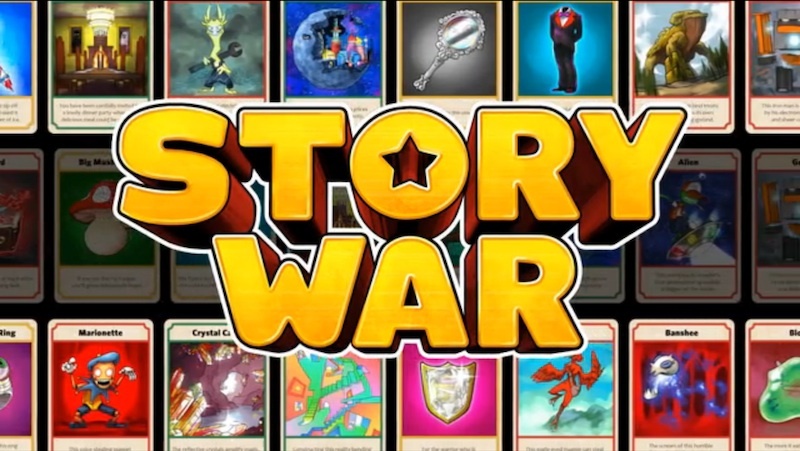 Not so with upcoming title Story War, a Kickstarted card game where the story you tell about the cards you wield determines who is the victor. The game has a turn system akin to Apples to Apples where one person in the group acts a judge for that round. The remaining players conjure up fantastical stories about how their Warrior cards would beat everyone else’s given a randomly pulled terrain for that round. Stories about Warrior cards that seem a little too powerful can be challenged by opposing players, but ultimately it all comes down to the judge to decide who wins. Creators Cantrip Games have been successful at getting the word out, as the Kickstarter has been funded about six times over, but there are still fifteen days left if you happen to want to get in on the first produced set. A number of stretch goals have been announced (with others yet to come) that include new cards, game modes, and campaigns, so getting in now will net you extra goodies. If you are still curious about how the game works, they have supplied a video of a game in action for you to view. Or you could just go read the Kickstarter page for the game like some kind of crazy person. Thanks to @chiaczar for the heads up.